Many small and mid-sized charities rely on volunteers to do their fundraising for them. Whether though participatory fundraising like walk-a-thons and candy bar sales or through major donor groups or small volunteer-hosted events, many non-profits generate a significant portion of their revenue thanks to the efforts of a dedicated group of volunteers. 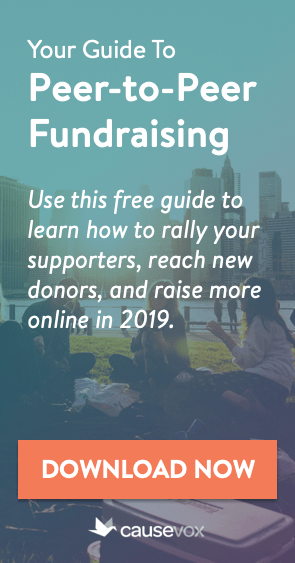 The best way to make sure your volunteer fundraisers meet their goals is to offer them substantial training – teach them how to fundraise for your organization, show them the steps, let them practice and ask questions. The extra time you take with your team will pay off later with higher revenues and happier volunteers. In addition to training, make sure your team has the materials and support it needs to be successful. Give your team printed copies of your training materials, along with a healthy supply of the items they will need to fundraise – including brochures, donor envelopes, annual reports, cookie order forms, walk-a-thon sheets… whatever your fundraising campaign requires. Also be sure to provide support when needed through a “volunteer fundraising hotline” or regular team meetings. Many small charities make the mistake of being so rigid in their guidelines that they miss real opportunities, and turn off their volunteers. 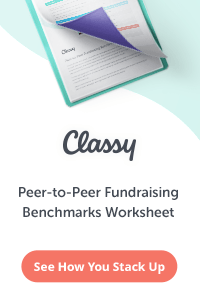 While your organization should definitely have fundraising standards and protocols in place for your team, you should also be open to new ideas from enthusiastic volunteers. Tracking is key to the success of a volunteer fundraising campaign. Keep an eye on what – and who – is working, and what/who is not. Provide help to volunteers who are faltering, and encouragement to your entire team. Throughout the entire process, remember that volunteers need praise for their efforts, and a steady stream of thank you’s from your organization. Remember, volunteers could be doing any number of things with their time, but instead have chosen to work – for free – as part of your volunteer fundraising effort. Give them the recognition they deserve. If you are honoring a special person at a fund raising party, of course, they would be your non paying guest. However, is it appropriate to provide them with a number of other free tickets to to the event. If so, what is the appropriate number of free admissions to give them at an event with the goal of 100 people paying $25 to $100 donation? Thanks for your question. Often times, non-profits that honor someone as part of a fundraising event are doing so in the hopes that that person (often a local business person or philanthropist of note) will invite their friends and contacts as paying guests. If, on the other hand, you are inviting a volunteer or friend of the organization to come and be recognized for their work, I think it is reasonable to give two free tickets – one for the honoree, and one for a guest. Any additional tickets can be purchased at regular price. I am doing a fundraising event for a private school. Everyone is a parent volunteer. We are only a handful of people. There is one person who is doing the big donors/corporations and two – three of us that are going out and finding people do donate hotel rooms, restaurant vouchers, furniture, etc,…for a silent and live auction. Is there a set rule – or an estimated amount of what a “reasonable” amount is that can be raised by a group that size. Last year they raised a lot but everyone gets stressed out, gets angry and mean, etc…and I wonder if that has to do with the goal they are setting. I personally wonder if it is too much. Could you enlighten me please. Thank you. Thanks for your question. There really isn’t any guideline on how much you have the capacity to raise. I will tell you, though, that for events like this, the majority of your revenue should usually come from sponsorships, with the rest from ticket sales and auction items. our non for profit organization is getting large donations. As secretary I do all the thank yous. Is it ever right to divulge how much money has been raised so far? Thanks for your question. That’s a decision for your organization’s leadership to make. 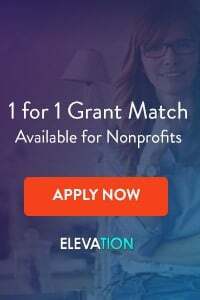 Many non-profits will provide updates to donors on how much a particular campaign has raised or how much the organization has raised so far that year. Donors like to see progress and know that you are hitting your goals. We are having a fundraising spaghetti dinner, with noodles, sauce, meatballs, garlic bread, corn, salad, coffee and tea (I think that’s everything). Desserts are a bake sale headed by the ladies at the church where we are holding the dinner. We are working out how many people we need to help. Do you have any suggestions? We currently have two taking money, two on the garlic bread (because we’re actually buttering and “garlicking” it ourselves), and we only have a few others who are signed up. We think we need one for the noodles, one for the sauce (premade) and maybe corn together, one for the meatballs (premade), and four for the dining room to assist people and help clean up when they are finished. Is that enough people? What would you say the minimum number needed is? We are aware we’ll have setup and cleanup, but those will probably be the same who are doing the cooking. Thank you for your help with this. I think the # you propose is a good one. In my experience, you want to overshoot on the number of volunteers just a little. Don’t forget volunteers for the registration/check-in table, and coat room if you will have one.